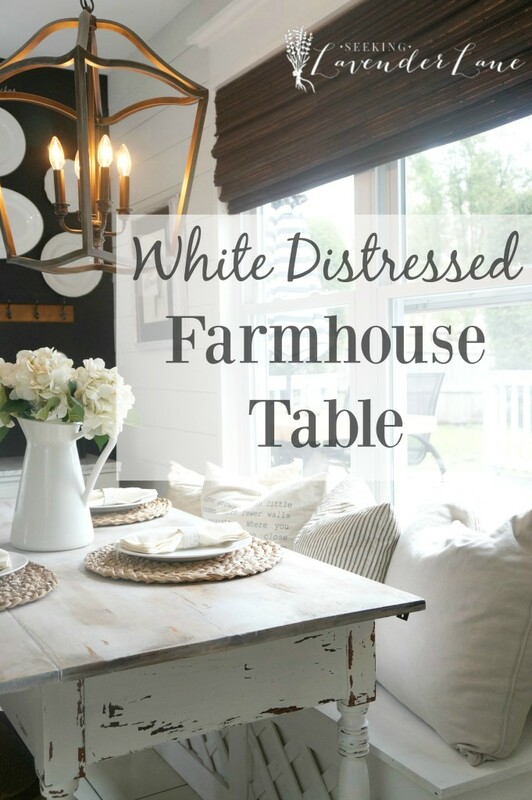 Farmhouse style is all the rage! We love Fixer Upper and we love our farm style interiors. But what to do with the exterior? 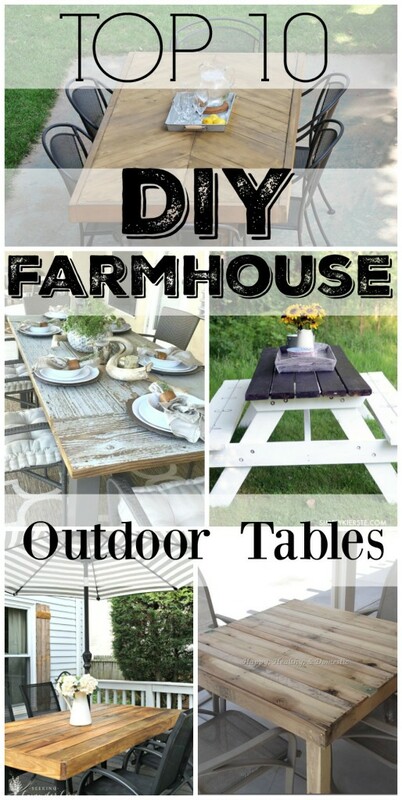 See how to carry that Farmhouse style outdoors with these 10 DIY Outdoor Farmhouse Tables, that I’ve rounded up for you all today. 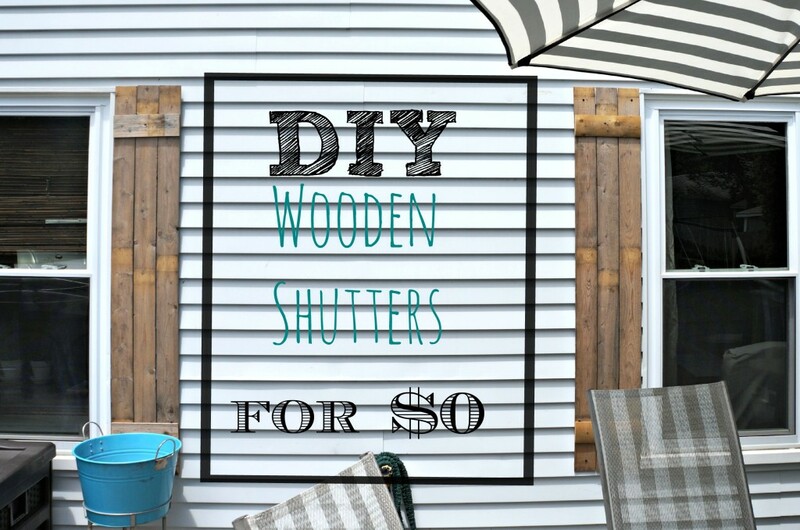 I have the perfect solution with these awesome tutorials by the best DIY bloggers around. 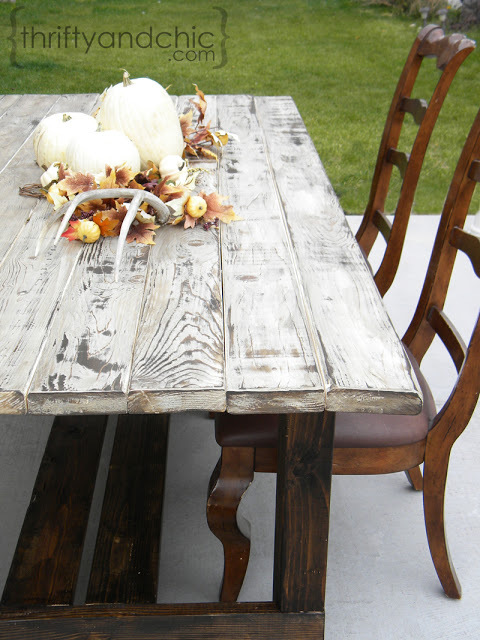 These bloggers all share one thing in common, they love a great DIY farmhouse table. 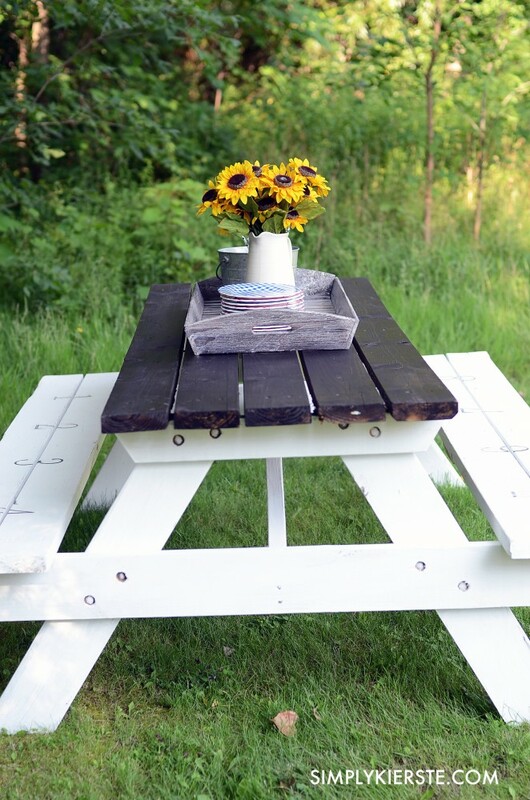 Whether it’s a recreated picnic table, upcycled tired out patio table, or a step by step DIY from scratch harvest style seating. 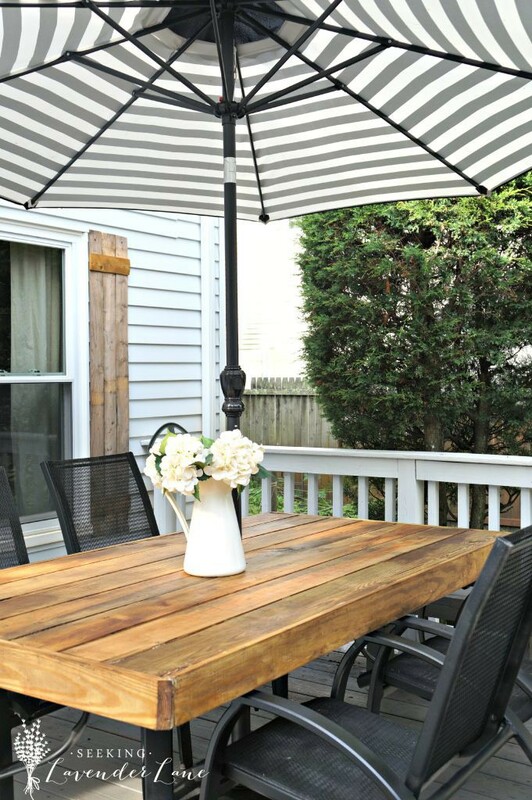 Each will give you something to think about when decorating for your outdoors this year. Not only is this table gorgeous and Table and Hearths tutorial super descriptive, but the way she has it decorated is perfection! 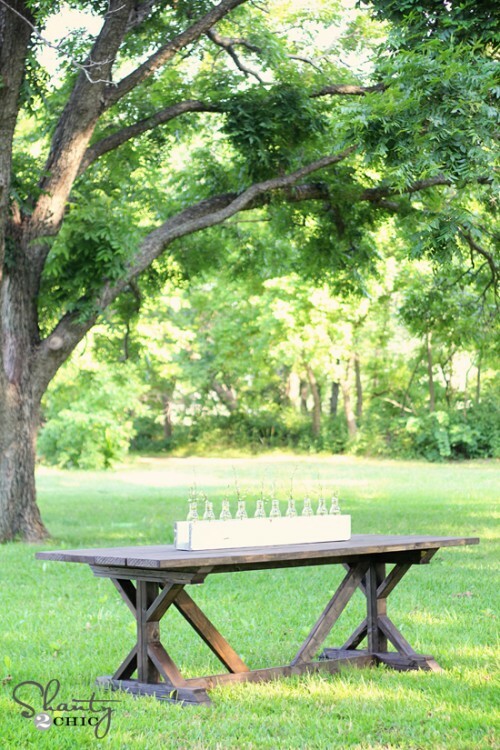 So, who knew a picnic table could be so adorable? Loving this one from SimplyKierste I think my favorite is the numbered seats..cuteeee!!! Cherished Bliss has the most amazing tutorials and decorating ideas on her page. This one, doesn’t fall short from the rest. It is spectacular in design and another great tutorial, along with a unique herringbone style table top. Oh, this looks familiar? 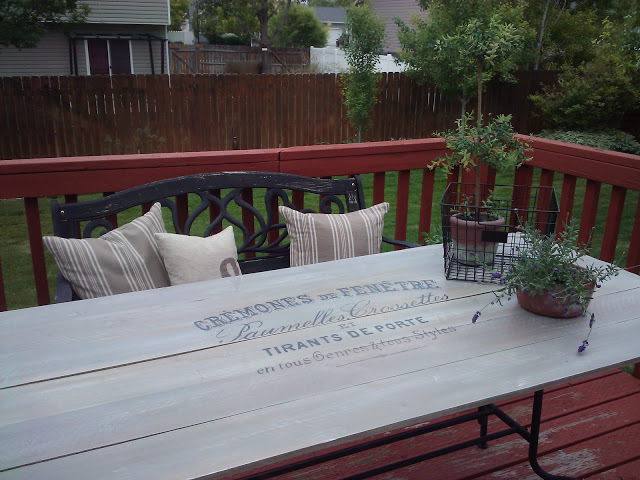 lol here’s my Outdated Patio Set Rustic Makeover. 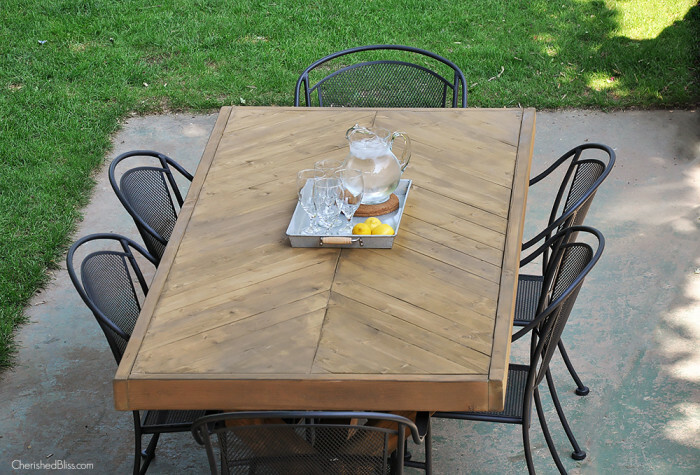 We shared here how to update an old patio table with some spray paint and a wood tabletop. and duh, this one is from Shanty 2 Chic, I mean everything they do is perfection. I love this from Right at Home! 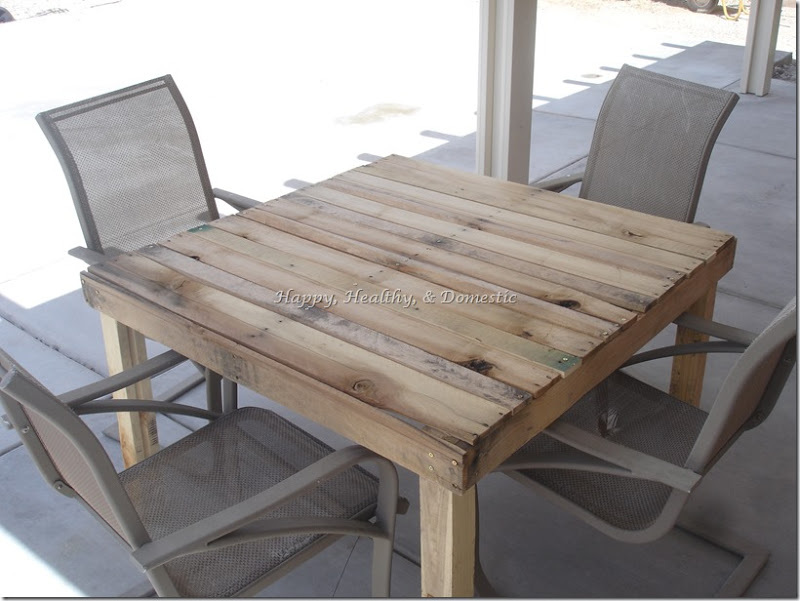 Maybe because it has a french farmhouse feel, and because it’s so similar to my upcycle patio table. You’ll have to stop by and see the tutorial. LOVING this! so unique and gorgeous paired with the dining chairs. A must see from Thrifty and Chic. I love this, I love this, I love this! It’s free you guys! 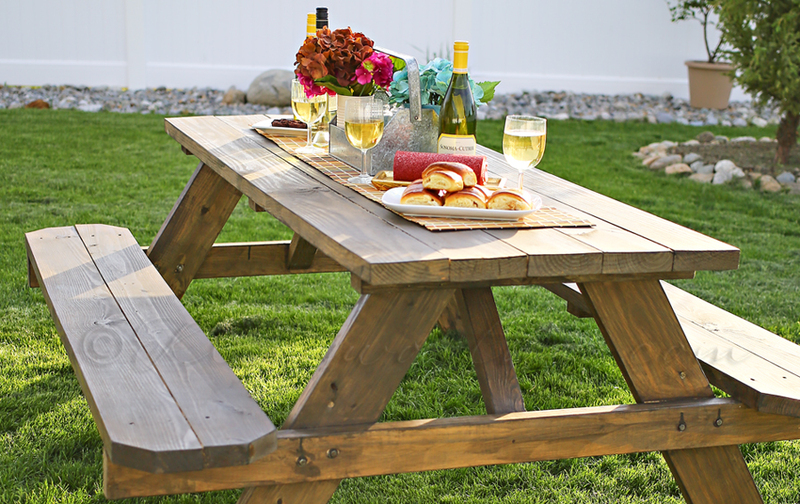 Pallet wood all the way. Alex Haralson shares a great tutorial. Last, but not least…you can’t get any easier than this. 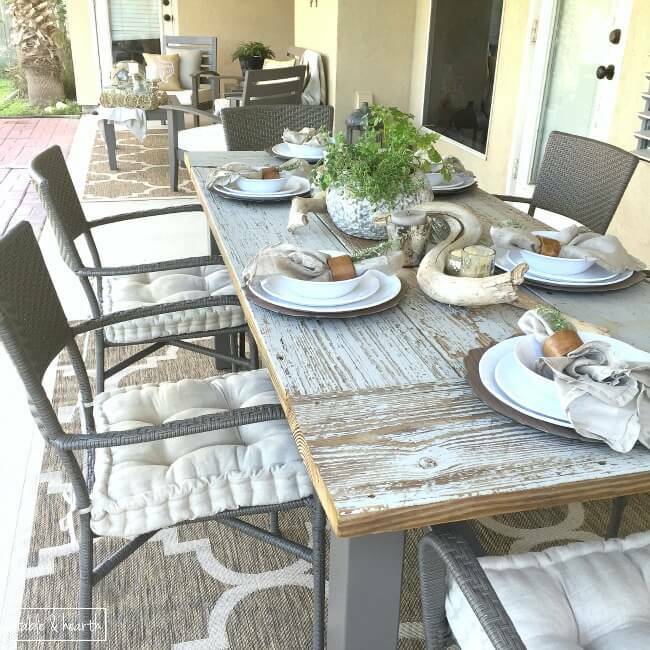 Kleinfworth co. shares how she made this ordinary picnic table beautiful and perfect for her outdoor space. and please for the individual tutorials pin to the original post. Thanks so much for including our table!! We are thoroughly enjoying it this season! Absolutely Emily! 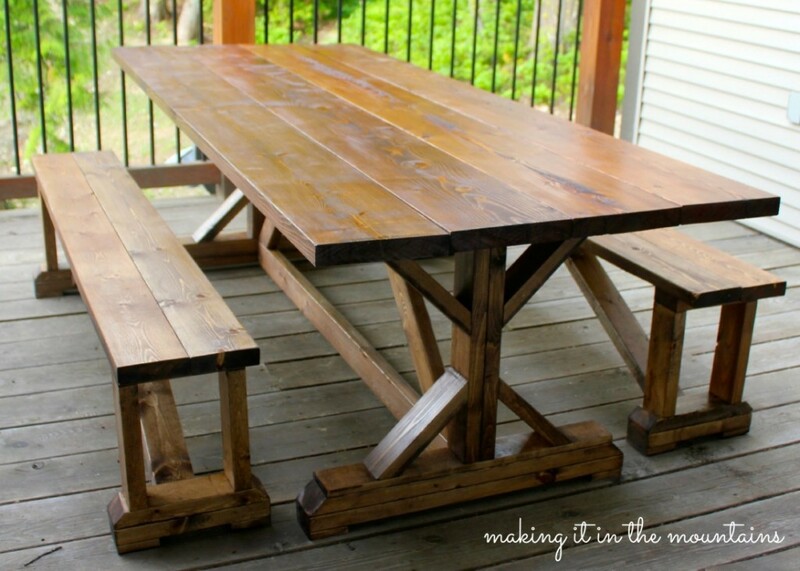 Such an awesome DIY, one of my favorites.